Following the initial blog post about our Speech Acts exhibition, inspired by the BBC4 documentary Whoever Heard of a Black Artist? Britain’s Art History this second instalment features the artist profile of Rasheed Araeen. Speech Acts, as an exhibition, questions why some works are chosen for display and why others remain in storage. Using contemporary British art from the 1940s up to the present day, with an emphasis on work by black and ethnic minority artists (BAME); it seeks to restore works lost from the story of recent Western European art, displaying them alongside more recognisable, feted artists, to put them in context. Here I have taken key pieces of information from the BBC4 documentary which highlight the hidden histories of British art; it only feels right to begin with the artist featured at the start and end of Speech Acts; where Araeen’s photography piece Christmas Day (1979) is presented. Christmas Day (1979) Rasheed Aareen, on display is Gallery 12. Araeen is originally from Karachi and described in the documentary as “one of the founding fathers of British Black Art”. Raheed appears on the documentary today, as an elderly man describing his early memories of moving to London and experiencing immediate racism. Despite this, his early art of making geometric lattice works were making ripples in the British minimalism scene. 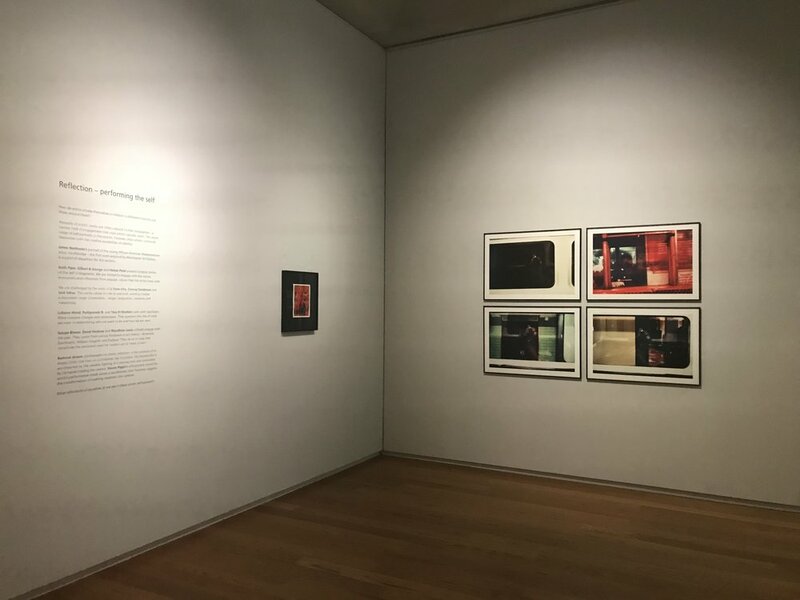 Araeen explains that the racial discrimination impacted him as a young artist; “I went into a nightmare….one gallery who was interested in my work… when I asked them ‘when are you going to show my work?’ they said ‘oh that’s funny, we only show English and American artists’”- Araeen. He was introduced to the British Black Panthers movement (this was an off- shoot of the American Black Power movement) and in the 1970’s, his work became increasingly politically charged, particularly with his art in performance pieces, where he acted in front of large audiences as an immigrant worker being gagged and racially abused. “I was very angry in the 70’s, I couldn’t see any future as an artist in Britain”- Araeen. Within 4 months, his anger and frustration became the ‘Black Manifesto’ which was the first document to define Black Art as a new political art form. In the late 1970’s, Araeen’s ideas in ‘Black Manifesto’ lit a spark that travelled through Britain and ignited in the industrial West Midlands, amongst the children of Windrush. He staged an exhibition showcasing generations of Black and Asian British artists in 1989 called ‘The Other Story’. A clip from the time shows Araeen saying “I have put this exhibition together because it is the story of British Art which has never been told before and it has always been my dream to tell the story”. After eleven years of campaigning, it was held at the prestigious Hayward Gallery on London’s Southbank in 1989. ‘The Other Story brought together the Black Art movement artists like Sonia Boyce, Lubaina Himmid, alongside Caribbean painters Aubrey Williams and Frankie Bowling; the South Asian modernist Anwar Jalal Shemza and kinetic pioneers including Li Yuan Chia. 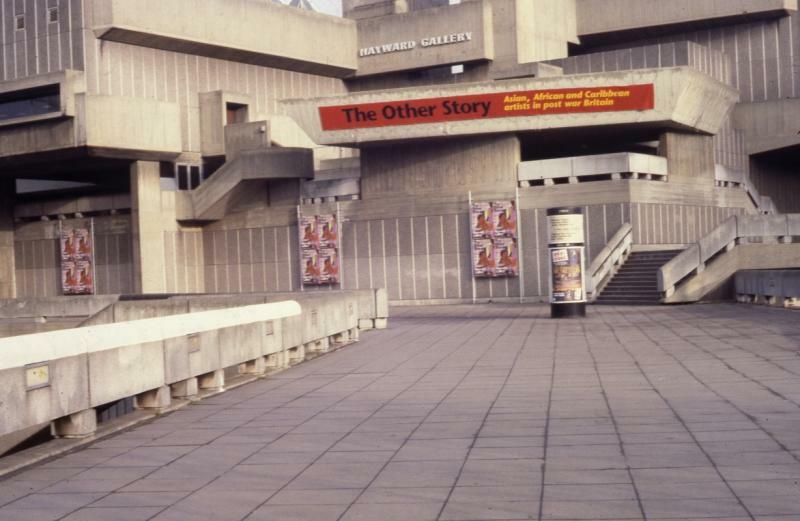 This exhibition actually toured courtesy of the Hayward Gallery to Manchester Art Gallery and Cornerhouse. The repetition section of Speech Acts is a nod to institutional forgetfulness - repetition being an act by which we hope to remember something. It turns out the Li Yuan-chia's work was once installed in what is now our lower ground staff offices, overlooking Princess Street. It had the potential to bring the exhibited artists into the mainstream, but it didn’t work out in that way and was critically slated, one even stated “It can’t even be in the margin of art history”. “How do you respond to the powerful people, when you have no power?”- Rasheed Araeen. Now in his eighties, and after six decades of fighting, Araeen has been accepted in the art establishment and has become famous; his studio assistants now struggle to keep up with demand. Coming up next in this series: the artist profile of Li Yuan Chia, also known as “the father of Chinese abstraction”.